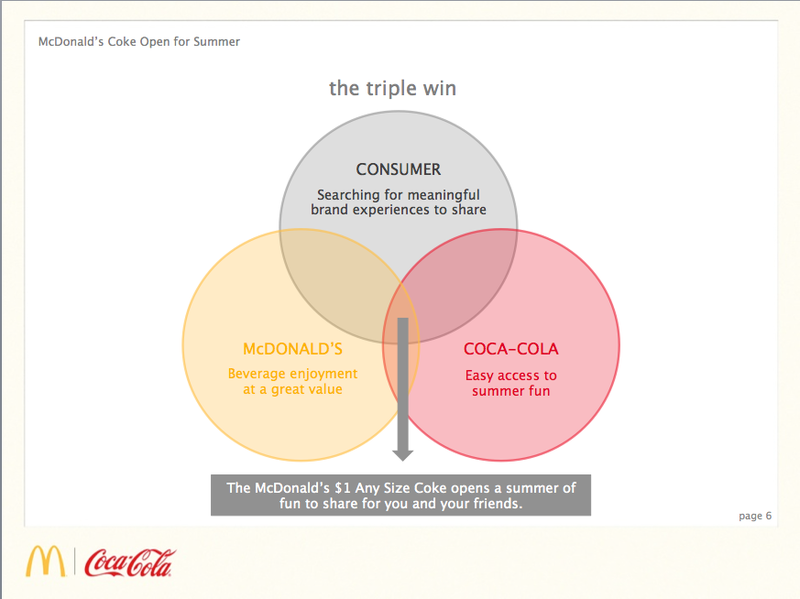 Tasked to drive Millennials to McDonald's to buy $1 any size Cokes, we created Grab Summer by the Buck to help people make the most of their summer. 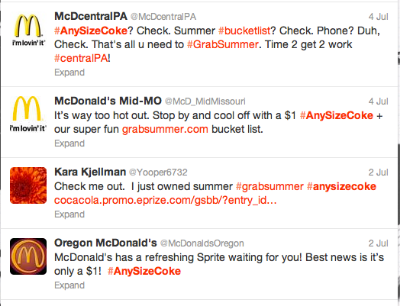 After sharing a pic of their Coke using #anysizecoke, the website unlocked 100 tasks. Each task was assigned a hashtag and the more tasks you complete, the more chances you have to win prizes. Tasks varied in difficulty - from #bleacherseats to #frymoustache - but ultimately, they helped fuel more summer fun. Stay tuned for Grab Summer v2.0 in 2014!